Vancouver had quite the warm day today! It was an absolute scorcher! I cannot even begin to exclaim how sticky and sweaty I was today haha. But it was amazing, Vancouver is generally cold and rainy so it was a welcome change! On this hot wonderful day, I attended the Summer Soiree hosted at the Beaumont Studios on Alberta and 5th in Vancouver. All of the pop-shops donated 15% of their sales from today towards BC Professional Fire Fighter's Burn Fund! 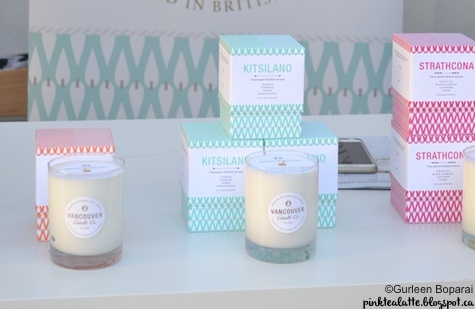 So many amazing local Vancouver shops had their pop-up at the Summer Soiree! I finally got to meet the amazing artisans behind the brands and companies I love. I had a wonderful chat with Kara about her Kara Yoo Jewelry. She has designed every piece herself and are made in Vancouver. 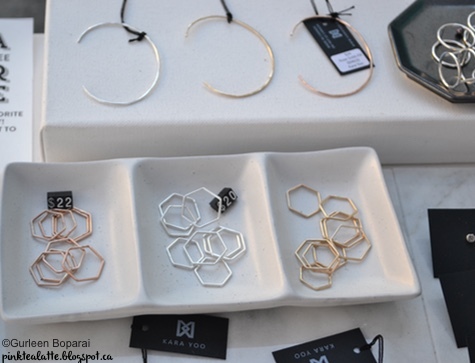 I am in love with the Hexagon Rings - I think it is clear hexagons are my favourite shape... who has a favourite shape??!?! I also got to meet the lovely Jaleh again, the amazing women behind We R Love & Co - a company focused on spreading LOVE! She showed me some love by showing me how to use the manual settings on my Nikon DSLR! Hopefully with my new found knowledge of using the manual settings correctly, my pictures will improve! 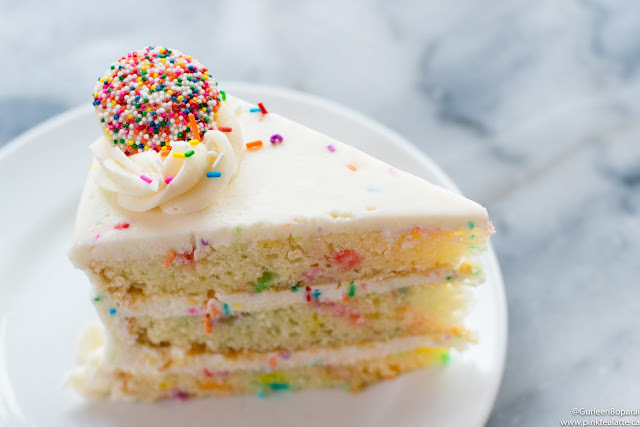 Be sure to check out We R Love & Co as the Sprinkle Love Like Confetti... is too real! Now dolls - as a disclosure, I am not getting married anytime soon. Nor am I engaged to be married! haha but I know I am DEFINITELY going to be getting a Future Mrs. Planner when my time comes around! Firstly, the name is genius - Future Mrs! 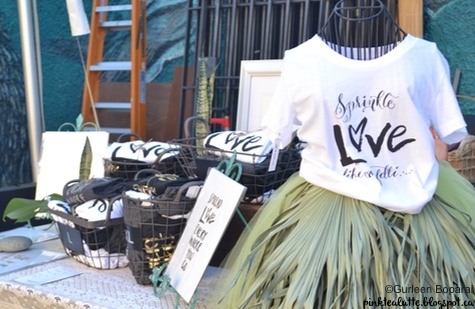 What a Chic way to tell the world you are planning your wedding. Much better then having a generic wedding planning book. As well, this book is Tres Chic! It is a feminine planner with cute pictures and sayings sprinkled throughout. 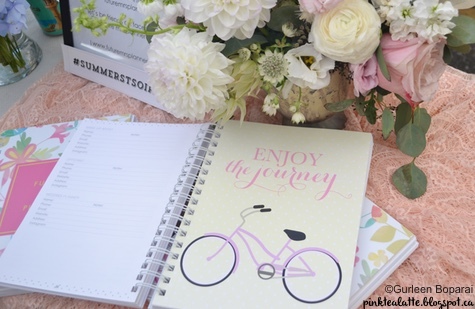 I fell in love with the page that featured a peony pink cruiser with "enjoy the journey" scrawled above! I think the Future Mrs. Planner would also make a perfect engagement present! As well, I got to meet the amazing creator, Nick! Plus his adorable dog Cooper!!!! Had a lovely chat with him and learned there is a new candle coming out at the end of the summer so stay tuned for that dolls! The Summer Soiree was fabulous and I am so happy that I attended! These were only a few of the many vendors at the event! Hugo Churros was also at the Soiree and I finally got to have a taste of their much raved about Churros - the hype is real dolls! 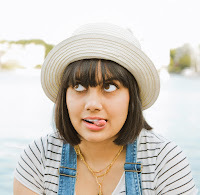 I have lots more amazing Vancouver finds to share with all of you this Summer and if you know of a place that I must visit, let me know!